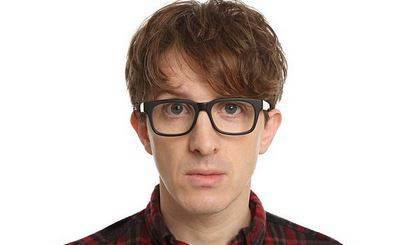 James Veitch is a British comedian, director, writer and producer. He is artistic director and founder of site-specific theatre company "Pale Fire." He has been described by The Guardian as "ahead of the poetic curve","ingenious, one to watch" by The Independent a "fiercely intelligent theatrical jack-of-all-trades", by Broadway World, "a British theatre director with a wicked sense of humour" by The New York Times. Задача: Edinburgh Fringe comedian, James Veitch, needed a bright high resolution short throw projector that could be set up close to the screen on stage so that no shadows are cast across the imagery during his performance. Решение: James chose the bright Optoma EH200ST Full HD projector which can project a super-sized 100-inch picture on a screen or wall from just over a metre away. Musician, comedian and Edinburgh Fringe star, James Veitch, was due to perform his third show, Game Face, at the Fringe, but this unashamedly Powerpoint-fuelled performance was lacking a vital bit of kit – the projector! James needed a bright high resolution short throw projector that could be set up close to the screen on stage so that no shadows are cast across the imagery during his performance. James plumped for the Optoma EH200ST Full HD projector which can project a super-sized 100-inch picture on a screen or wall from just over a metre away. This Full 3D 1080p projector with a 10W built-in speaker produces bright vivid colours and boasts a brightness of 3,000 ANSI lumens. It has two HDMI inputs, making switching between sources literally the push of a button and can be turned into a smart display by connecting a smartphone or tablet with a single cable using MHL to play games, stream videos and share images on the big screen. James’ show Game Face, a geeky comedy about life, love and enabling Bluetooth, opened at the Pleasance Dome in Edinburgh on 3 August. The show will run throughout the month to Monday 29 August (except Monday 15) and has been described as a glorious hour of esoteric, anarchic comedy from the Independent’s ‘One to watch’. James’ first solo comedy show The Fundamental Interconnectedness of Everyone with an Internet Connection premiered at The Edinburgh Fringe in 2014 to wide acclaim. He is also responsible for the fastest ever TED Talk to reach over two million views in the history of TED.